This is the story of James Henry Woolger, accountant and Deputy Mine Manager Sugar loaf Siding Colliery Queensland Australia. James Henry was born in England in about 1885. 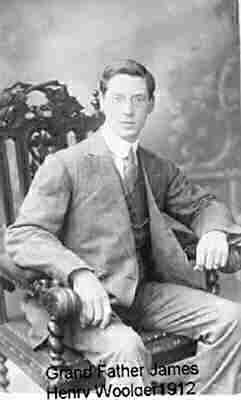 His father was James William Woolger while his mother was Ada Cockburn. James Henry sailed from England on board the Orient Line steam ship "Otway". The ship left Tilbury Dock at 1230hrs on the 25th April 1913. James Henry sailed through the Suez Canal and on to Fremantle on the 27th May, cold and wet. The "Otway" then sailed across the Great Australian Bight, a rough passage to Adelaide, on the 31st May. Whilst there he received a letter from the Mine Owner a Mr Guildford. Two days later he arrived in Melbourne then on to Sydney where he was met by Mr Guildford and taken to his home in Manly. James Henry was rather critical of the Australian men at this time because they ate with their hats on. After spending two days and nights in Sydney the ship traveled on to Brisbane. James Henry first went to Toowoomba on the edge of the Darling Downs, a city he describes as rather nice with a very good hospital. After arranging travel to Kingsthorpe he was disappointed as the many mines were closed due to failure of the coal seam. He describes the Darling Downs as a Pear infested area with a few farmers. He went back to Toowoomba. Next he traveled to Sugar Loaf Siding Colliery via Oakey. 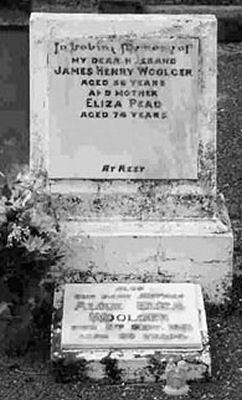 In 1914 James Henry Woolger and Alice Eliza Pead were married at the residence of the Congregational Church in Lindsay Street Toowoomba. After their marriage Alice, who had arrived only two weeks earlier moved to the mine. The house was in the middle of a pear paddock and made from slab timber and hessian bags. Under James' guidance the mine prospered for some years until the coal ran out and the mine at Acland was started. James Henry was more than just the Deputy Manager; he was instrumental in obtaining a sum of money from the Government of the day for a school, which still exists today. The letter to the Education minister can be found in the Acland School Centenary publication. After Sugar Loaf Siding Colliery closed in early 1923, and the family moved on to Baralaba in Central Queensland, again to mine for coal. The mine was abandoned in the floods of 1928. 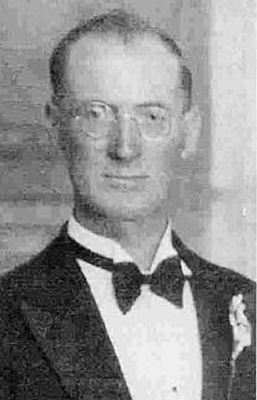 While at Baralaba James started the Queensland Ambulance Brigade in the town and had a railway car converted to carry the sick and injured to hospital in Mount Morgan. 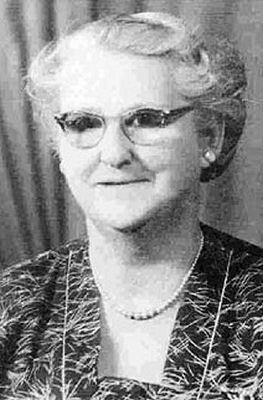 With three children and a wife the Woolger's moved to Rockhampton in 1929 and opened a shop at 22 Archer Street. After a few years they moved to another store at Park Avenue North Rockhampton opposite the Park Avenue State School. The family moved from the shop to Lakes Creek Road and then on the 76 Clifton Street North Rockhampton where James passed away in 1945. I hope this short story gives you an insight to the life and times of James Henry Woolger. His feelings for his fellow men and women and their well being are testament to a real pioneer.